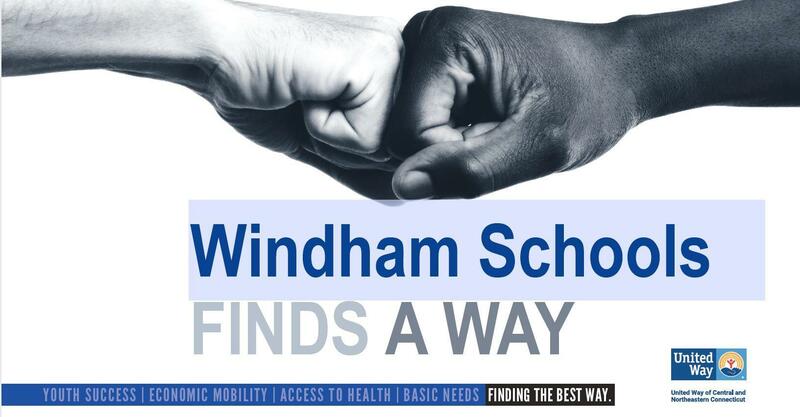 The United Way Campaign for Windham Public Schools has been extended until Saturday, December 15. If you have not yet donated to support our goal of 100% employee participation in this campaign, there is still time! Please give generously this holiday season. 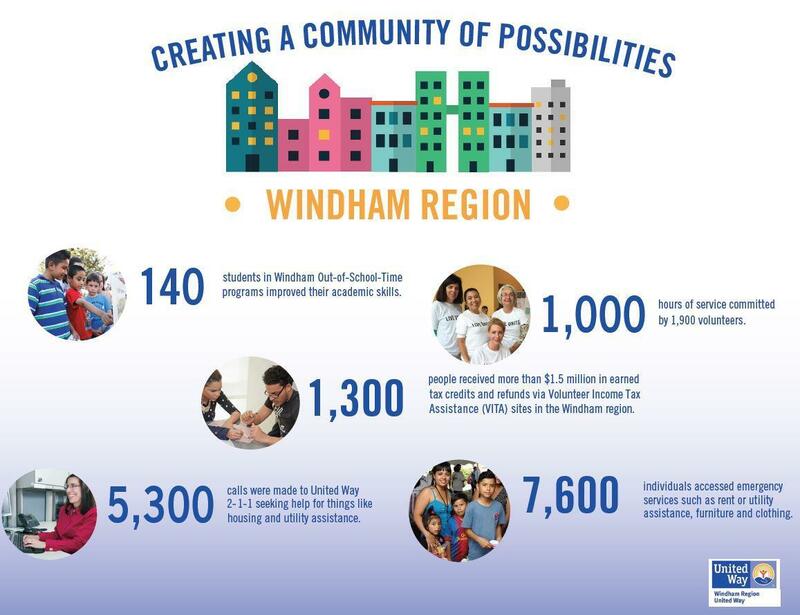 Learn more about the United Way and the work they do in the Windham region. Employees: It’s Easy to Donate-Here’s How! Also find it under Teacher/Staff links. Set up a regular payroll deduction. See your school’s United Way coordinator for a paper pledge sheet, and mail a donation. Support your schools’ fun fundraising events over the next month, and throughout the year. 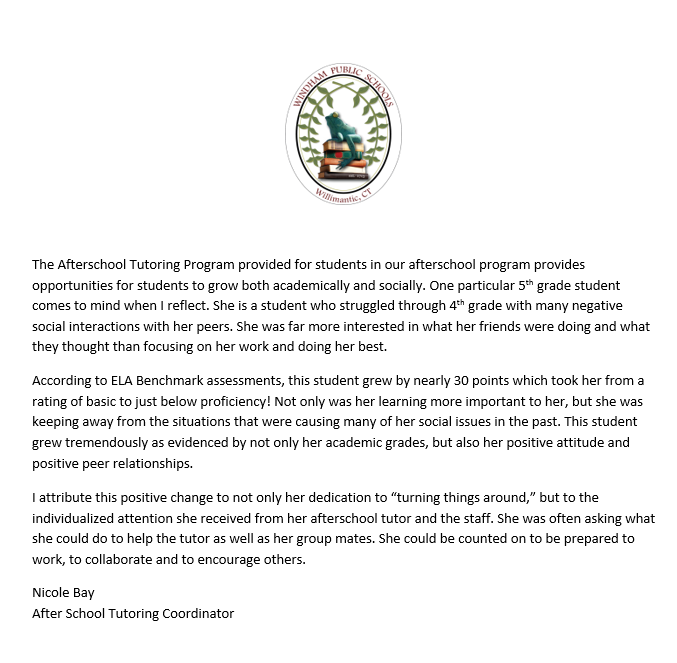 If you are not sure how your United Way donation yields positive results supporting student learning in Windham, please read this letter below, written by C. H. Barrows STEM Academy Teacher Nicole Bay about her experience as an After School Tutor. The United Way supports our After School program, and many other services, that benefit Windham families.